The key to healthy hair is moisture. Cotton material robs your hair of moisture. Furthermore, the weave of cotton fibers can cause individual stands to tangle and break. Satin or silk provide a smooth barrier that hair strands can glide across without the risk of damage and friction. Be sure to use a satin or silk scarf to wrap your hair at night. It will act as a barrier between your hair and pillowcases while maintain the moisture levels in your hair. Yes, those 500 thread count cotton pillowcases and sheets can be the culprit of stagnant hair growth. 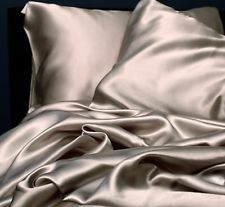 For those of you who aren’t perfect sleepers and tend to find your head scarf off in the morning, be sure to invest in satin or silk pillowcases and sheets. So no matter where you land your hair will be protected. This is also for those who get a little lazy some nights and don’t want to wrap your hair at all. Some of you may be asking what a pineapple is. It’s simply natural hair terminology for creating a high loose ponytail on the top of your head. There are plenty of YouTube videos that you can find on pineappling. The technique keeps curls on top of the head while you sleep to prevent flat, smashed curls in the morning. This is also a great way to stretch your curls. For shorter hair girls the multi-pineapple is an effective way to preserve curls and coils. The premise is the same as the original pineapple, just divided into as many sections as necessary. Click here for a thorough tutorial on curlynikki.com. Posted on March 31, 2015, in Natural Hair and tagged Natural Hair, pineapple natural hair, satin, satin natural hair, Silk Pillowcases, sleeping with natural hair. Bookmark the permalink. Leave a comment.